Yo! I’ve been debating whether or not I should keep the Ask Suzi series, but for the time being, I’m keeping it alive. It’s good for the small questions a lot of us might have, especially if you’re using the site search. I’m also working on a FAQ which will take care of the repeat question I get, and I’m trying to figure out a better system for all of this. If you’re new here, Ask Suzi is a post series in which I answer questions from readers. You can submit a question here. 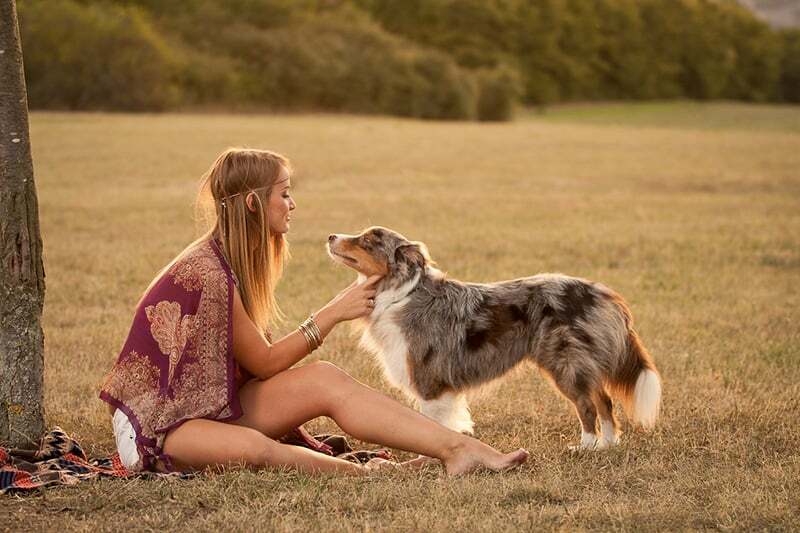 Hi Suzi, I’m in awe of your blog! 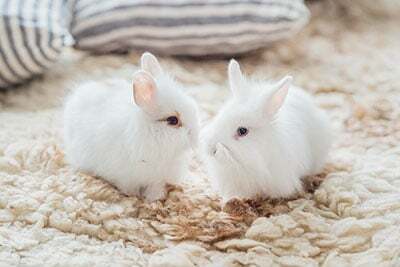 I am the proud mama of two rescue buns (my first ever pets) and after learning what companies do to test products on animals, I knew I could not in conscience have cosmetics in my home that hurt the very animals I’ve devoted my life to raising and rescuing. 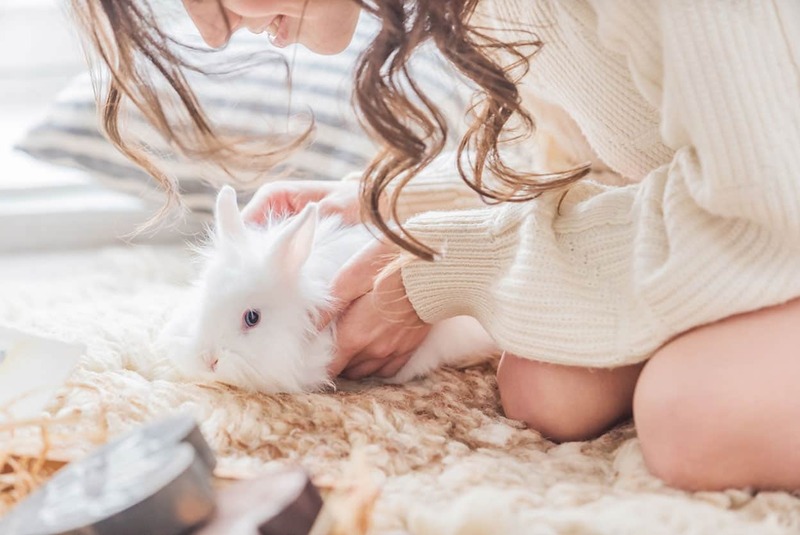 My recent decision to move over to cruelty-free products has been a journey and your site has been my bible! I was wondering if you run this site alone? I imagine this is a ton of work to maintain and update ? Hi Kelly! Thank you for being so awesome and yes, I run Cruelty-Free Kitty alone at the moment. Keeping up with company policies isn’t the easiest thing, but it’s incredibly rewarding! I also found ways to stay organized using spreadsheets, and I have full notebooks dedicated to this blog! 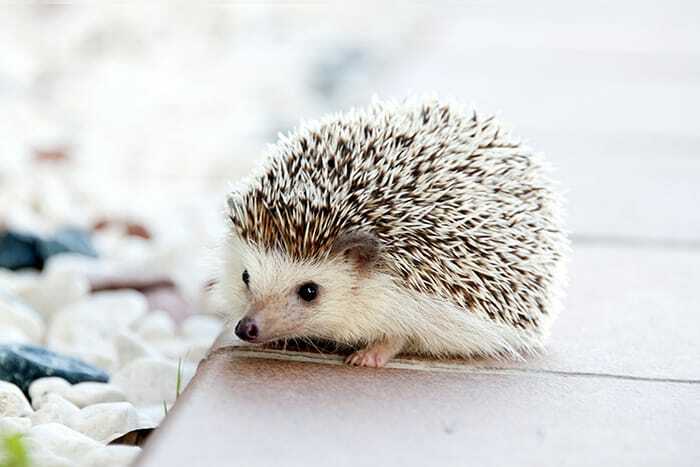 Hi, can you help me? I’m trying to find some cruelty free cosmetic brands that carry loose glitters for the eyes. Any price point will do. Thank you! ? Makeup Geek! Check out their loose glitters here. Hi Suzi. Thanks so much for all you do to keep us updated on the latest products which we as animal lovers can feel confident about purchasing. I’m sure it’s a monumental task. I have a quick question about cruelty free perfume. As you know, so much of it is very expensive. It’s very hard to wade through what they MIGHT smell like and buying one and then finding it to be utterly gross is a major disappointment. My fave used to be one by Bulgari, a very clean, fresh, green scent. This is what I prefer in a perfume, not flowery or heavy or musky. Can you perhaps give me a few that you might know of which are in line with my idea of the ideal scent? Pretty hard to find testers in any stores, at least in my area. Thanks so much for your time and all you do. Hello! 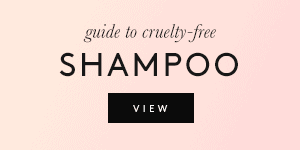 I’ve been trying for some time to go cruelty-free and your site has beed a great help! There are, however, some products I’m currently using that I’ve found hard to replace, mainly some L’Oreal products. 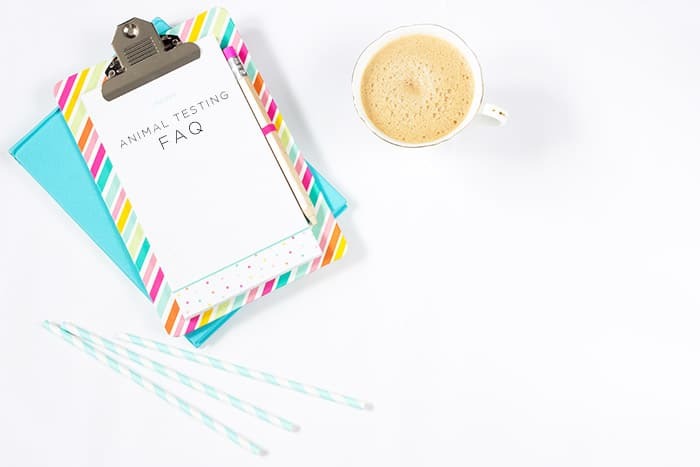 I didn’t see the brand listed on the Cruelty-free Brands list, but based on their website they don’t conduct tests on animals. Is this true or you have any other info? 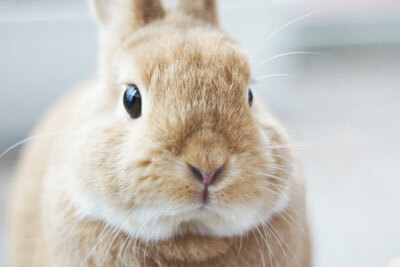 L’Oreal is absolutely not cruelty-free! They test on animals where required by law. I wrote a whole post about this here. Hi Suzi, I’ve recently made the switch to cruelty free cosmetic products and I’m looking for a comprable facewash to neutrogena naturals. I have very sensitive skin and I’m looking for something to solely remove dirt and makeup, no acne treatment. I’ve been a loyal customer to neutrogena mainly for their products being gentle on my sensitive skin but I’m trying to turn a new leaf. I’m allergic to many types of vegetables and trees (oral allergy syndrome) and I try to stay away from strong smelling products. I’m currently trying Pacifica’s facewash but I’m noticing I’m starting to get a rash and I’m not a fan of the smell of coconut. I really want to be committed to switching to cruelty free products and I could use all the help I can get! Hey Nicole! Have you tried simply using Jojoba Oil to cleanse and remove makeup? It’s only one ingredient, and it’s very gentle and also inexpensive. This is the one I use (from Desert Essence). HI! 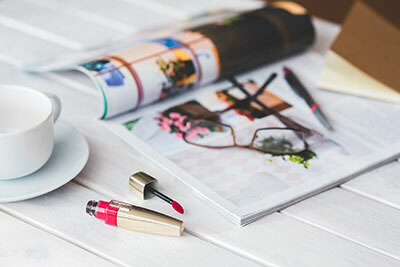 Recently, a friend shared a post on Facebook from this site revealing to the fact that many products I use every day are NOT cruelty free… including my beloved MAC. I’ve had some great luck easily finding products that are better than the ones I was using before. The other day I reached for a Lysol product. My boyfriend pointed out that they are probably not cruelty free which they aren’t. Our everyday lives are so full of this garbage! 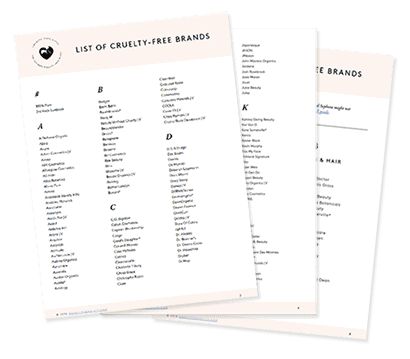 Do you have lists of other products that are cruelty free aside from cosmetics and skin care? Thank you for making me aware! Check out Alba Botanica’s Acne Dote line! It’s drugstore-priced and it’s made specifically for acne-prone skin. They have good reviews as well. 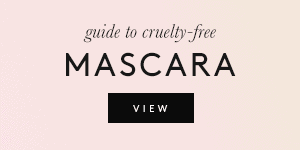 According to Peta’s list, Sephora is not cruelty-free, so I was wondering why are you promoting that brand or where did you get your information about Sephora? 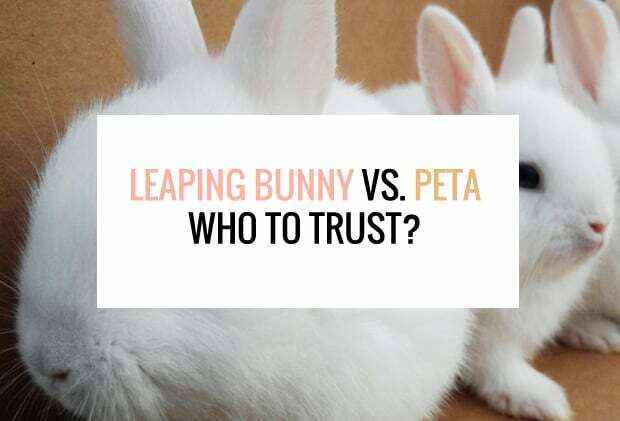 I clearly state that the Sephora brand is tested on animals in this post. I’m definitely not promoting the Sephora brand and I’ve never purchased anything from the Sephora brand! I do purchase cruelty-free brands from Sephora stores though, which is a different story. I absolutely love your website it is so helpful. I was just wondering, do you know what stance Too Faced is on? There was some talk that it was bought by Estée Lauder? Making their parent company not cruelty free? Hey! First off thank you so much for making this blog. 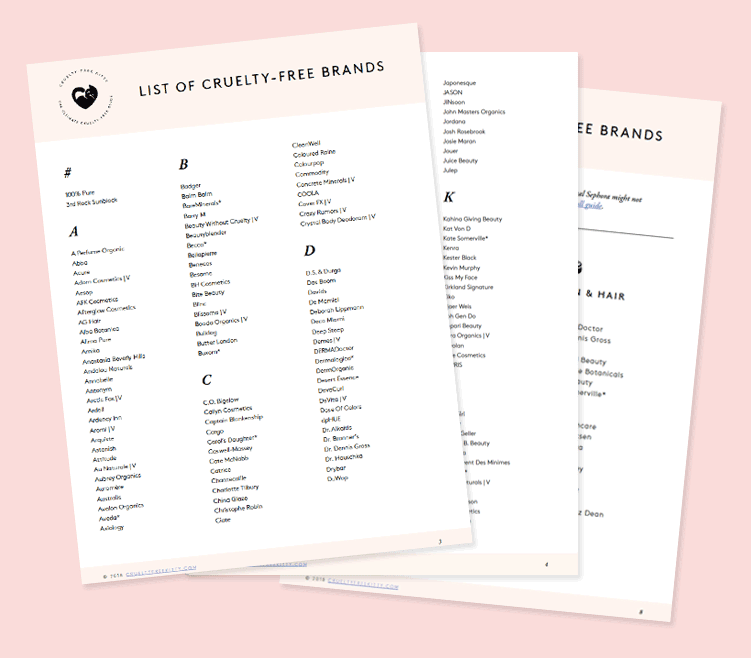 I find it super helpful to use as a guide and I appreciate the effort you put into digging to see who is actually cruelty free. Thanks and keep it up?? Thank you so much, Danielle! About Lime Crime, I chose not to add them to my cruelty-free list for other reasons. I’m just not comfortable directing my audience to that brand. Yeeees, Makeup Geek does great loose formulas! I haven’t tried Alba for face wash, so thanks for the heads up! I’ll definitely give it a try!